We treat a wide variety of conditions at Spring Creek Medical Center. Click on the conditions listed below to learn more. Car accidents are unfortunate but frequent events in the lives of people in Cache Valley. Many injuries that occur during a car accident are pretty minor, but for the few that are serious and life-changing, there are treatments that can help ease the pain and the damage. One of the most commonly occurring injuries as a result of a car accident is whiplash. While some may view whiplash as a minor part of a collision, the damage it causes can continue for weeks, or months, if it is not treated properly. What is whiplash? 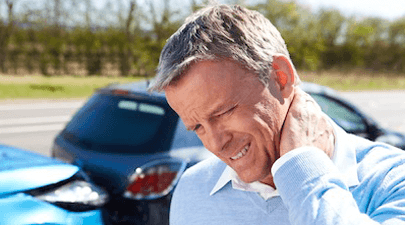 If you were involved…Learn more about whiplash treatments. Low back pain is extremely commonplace in Americans today. Odds are, you’ve personally experienced it. This pain can vary from mild to severe. It can have a slow onset or come on suddenly. However it happens, low back pain can make many everyday activities difficult to deal with. Back pain is different from one person to the next. In most cases, back pain resolves on its own within a…Learn more about lower back pain treatments. Did you know that research shows that about two-thirds of the population suffer from neck pain at some point in their lives? A few causes of neck pain? Sedentary activities, such as sitting and typing for prolonged periods of time. Aging causes the bones and discs in the spine to wear out, causing pain and discomfort. Accidents, injuries, illness, and other medical…Learn more about neck pain treatments. A headache is pain or discomfort in the head, scalp, or neck. Serious causes of headaches are very rare, but they are often caused by stress, anxiety, and tension. Most people with headaches can feel much better by making lifestyle changes, learning ways to relax, and sometimes by taking medications. Common Causes The most common type of headaches are likely caused by tight muscles in your shoulders, neck, scalp, and jaw. These are called tension headaches. They may be related…Learn more about headache and migraine treatments. 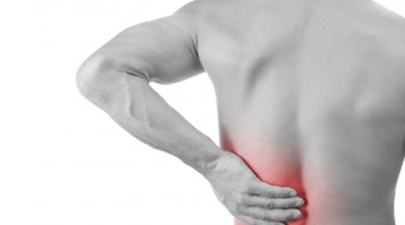 What Is Back Pain? Back pain is a very common complaint. Approximately 80% of all Americans will have back pain at least once in their lives. Back pain usually originates from the muscles, nerves, bones, joints or other structures in the spine. Your back pain may be sudden or it might be more of a chronic pain. It can be constant or intermittent, stay in one place or radiate to other areas. 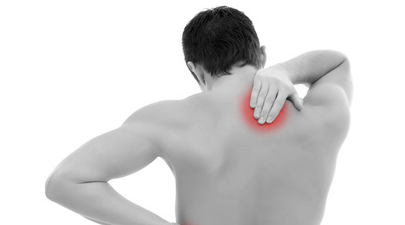 It may be a dull ache, or a sharp or…Learn more about back pain treatments. As the largest joint of the human body, the knee is sturdy and incredibly complex. Your knees keep you on the move while supporting nearly the entire weight of your body! When your knee is afflicted with osteoarthritis, injury, inflammation, or disease, your day-to-day life is directly affected. If you wake up with stiff, sore knees, notice increased pain when going up or down stairs, or frequently take medicines to relieve knee pain…Learn more about knee pain treatments. 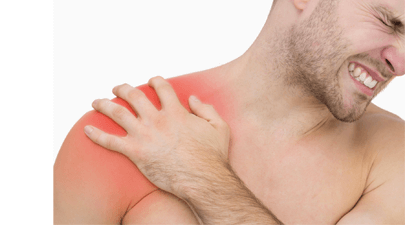 Shoulder pain is an extremely common complaint, and there are many common causes of this problem. It is important to make an accurate diagnosis of the cause of your symptoms so that appropriate treatment can be directed at the cause. 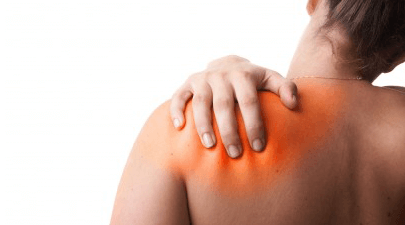 If you have shoulder pain, some common causes include: Bursitis / Rotator Cuff Tendonitis The most common diagnosis in patients with shoulder pain is bursitis or tendonitis of the rotator cuff Rotator Cuff Tear Rotator cuff tears occur when the…Learn more about shoulder pain treatments. Hip pain is common problem, and it can be confusing because there are many causes. It is important to make an accurate diagnosis of the cause of your symptoms so that appropriate treatment can be directed at the underlying problem. If you have hip pain, some common causes include: Arthritis is among the most frequent causes of hip pain, and there are many treatments available. Trochanteric Bursitis is an extremely common problem that causes inflammation of the bursa over the…Learn more about hip pain treatments. Carpal tunnel syndrome is a condition in which there is pressure on the median nerve — the nerve in the wrist that supplies feeling and movement to parts of the hand. It can lead to numbness, tingling, weakness, or muscle damage in the hand and fingers. The median nerve provides feeling and movement to the “thumb side” of the hand (the palm, thumb, index finger, middle finger, and thumb side of the ring finger). The area in your wrist where…Learn more about carpal tunnel treatments. Neuropathy is a collection of disorders that occurs when nerves of the peripheral nervous system (the part of the nervous system outside of the brain and spinal cord) are damaged. The condition is generally referred to as peripheral neuropathy, and it is most commonly due to damage to nerve axons. Neuropathy usually causes pain and numbness in the hands and feet. It can result from traumatic injuries, infections, metabolic disorders, and exposure to toxins. One of the most common causes…Learn more about neuropathy treatments. Stress is wear and tear on the body as a result of anxiety, worry, or exhaustion. This can occur over a long period of time or it can be a hard, difficult or intense experience which could cause irritation and/or damage to a person’s nervous system. It can cause buildup of toxins in the muscles of the body causing tension and muscle spasm on a continual basis. Trauma to the spine can create areas of weakness that will show up…Learn more about muscle tension treatments. Fibromyalgia is a common syndrome in which a person has long-term, body-wide pain and tenderness in the joints, muscles, tendons, and other soft tissues. Fibromyalgia has also been linked to fatigue, sleep problems, headaches, depression, and anxiety. Fibromyalgia is most common among women aged 20 to 50. The cause is unknown. Possible causes or triggers of fibromyalgia include: Physical or emotional trauma Abnormal pain response – areas in the brain that are responsible for pain may react differently in fibromyalgia…Learn more about fibromyalgia treatments. 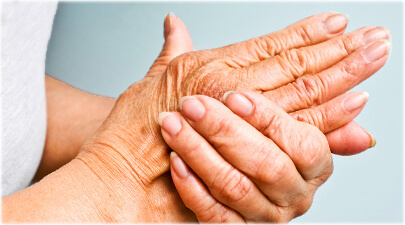 Arthritis is a complex family of musculoskeletal disorders consisting of more than 100 different diseases or conditions that destroy joints, bones, muscles, cartilage and other connective tissues, hampering or halting physical movement. Osteoarthritis (OA) is one of the oldest and most common forms of arthritis and is a chronic condition characterized by the breakdown of the joint’s cartilage. Cartilage is the part of the joint that cushions the ends of the bones and allows easy movement of joints. The breakdown…Learn more about arthritis treatments. Eighty percent of people experience back pain, and at any one point in time, approximately 20% of the population has back pain. For many decades, doctors and scientists believed that most back pain was caused by “slipped” or “torn” discs. We now know this not to be true. Disc problems constitute only a small portion of the causes of back pain and rarely require surgery for pain relief. What are spinal discs? 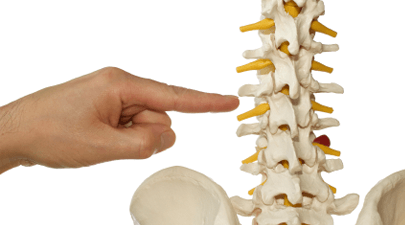 Spinal discs are a critically important part of…Learn more about spinal disc treatments. Injuries are common while participating in organized sports, competitions, training exercises, or fitness activities. Poor training methods, inadequate warm-up, and lack of conditioning are a few of the causes of sports injuries. Fatigue and overuse are also significant contributors to an injury, and not excluding dehydration that cause athletes to be prone to injuries. Coping with sports injuries often requires physical rehabilitation. SpringCreek Medical’s team of MD, chiropractor, physical Therapist, and massage therapist helps people rebuild strength and movement in…Learn more about sports injury treatments. Sciatica is a condition that is associated with pain and other symptoms caused by sciatic nerve compression. The sciatic nerve begins in the lower region of the back and runs to your buttocks and down the back of both of your legs. Sciatica isn’t actually a condition, but rather a term used to describe symptoms that are caused by compression of the sciatic nerve. 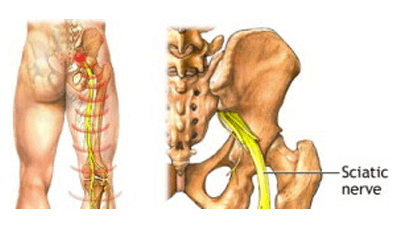 For this reason, sciatic nerve pain generally indicates there is an underlying problem in the area that is compressing the nerve….Learn more about sciatica treatments.